The third Republican presidential debate, hosted by CNBC, is coming up on Oct. 28, and the stage is set. Donald Trump and Ben Carson will take center stage, and the topic is "Your Money, Your Vote." During this debate, the candidates will talk about key issues like retirement, job growth, taxes, technology, and more — so it makes perfect sense that Becky Quick, co-anchor of CNBC's "Squawk Box" and anchor of the nationally syndicated "On The Money," is one of the debate moderators. So, who exactly is Quick? Now a well-known journalist, Quick chased the oil boom with her family during her childhood, and studied political science at Rutgers University. According to her profile on CNBC's website, the former editor-in-chief of Rutgers' The Daily Targum has numerous accomplishments to her name. Quick is known for her hard-hitting interviews and profiles of some of the world's richest and most influential investors, including Warren Buffett, Bill Gates, Alan Greenspan, T. Boone Pickens, Jamie Dimon, Charlie Munger and many others. 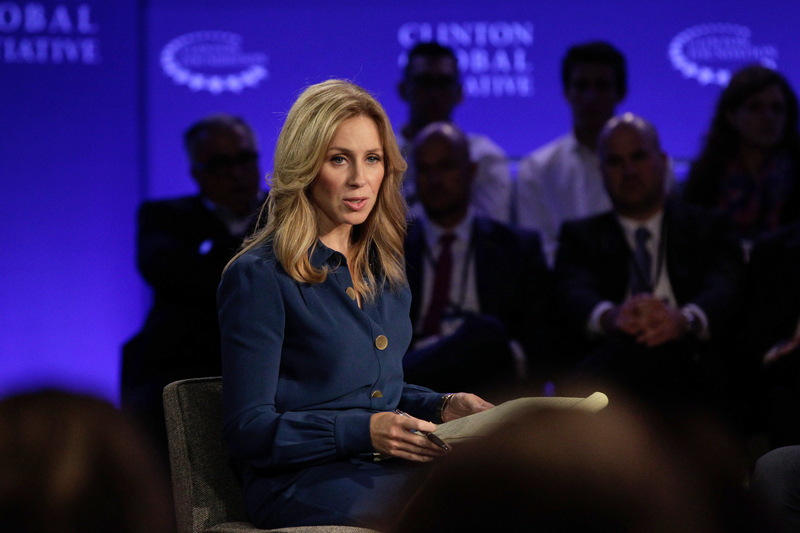 She also has interviewed three U.S. presidents and has hosted panels at some of the most prestigious conferences in the world such as the Microsoft CEO Conference, Fortune's Most Powerful Women's Conference and the Allen & Co. Sun Valley Media Conference. Throughout her career, Quick has covered retail, e-commerce, the Internet, finance, and foreign affairs. She played an important role in launching The Wall Street Journal Online, where she served as the international news editor. But Quick is more than a laundry list of achievements; her expertise on these industry topics has enabled her to hold other people in positions of power accountable. For example, earlier this year, she landed Tumblr CEO David Karp in hot water when he appeared on "Squawk Box" to discuss net neutrality and ended up comparing net neutrality rules to the Bill of Rights. To some of her fans, though, Quick seems to be more than just a financial journalist. There is an unofficial fansite dedicated to her, with which she has no affiliation. Posts from the site praise "the news goddess'" intelligence and beauty, and quite inappropriately go on to speculate on whether or not Quick is married. The New York Times reported on this site's popularity almost a decade ago, but the guestbook still remains active, with signatures from as recently as mid-August. In any case, Quick told the Times back in 2006 that she found the site "relatively harmless." Quick will be joined by two other moderators from CNBC at Wednesday's Republican debate: "Squawk on the Street" co-anchor Carl Quintanilla and Chief Washington Correspondent John Harwood.